It’s that time of the year again! That’s right, it’s summer, and that means vacations and travel, hooray! We just returned from a lovely and relaxing week in Seattle, and the kids and I were in Toronto for almost all of July. It was a great trip but I was more than a little apprehensive considering we had never traveled without the Mr. before. That said, I think forewarned is forearmed, and I like to be as organized as I can be. Luckily, we’ve traveled a fair bit by now, so today I’m sharing a few tips and tricks that I use to make traveling with kids a breeze. The most important thing when we are traveling (whether planes are involved or not) is to keep the baby under control! She’s at an age where exploring is so much more interesting than standing still and I’d rather keep her where I can see her! Solution? Pop her into the genius Babyzen Yoyo+ stroller. Guys, I’m completely in love with this French-made stroller. It has great build quality, pushes like a dream, has a pretty decent basket and a really great three-part canopy, but above all? It folds to fit into the plane’s overhead compartment! 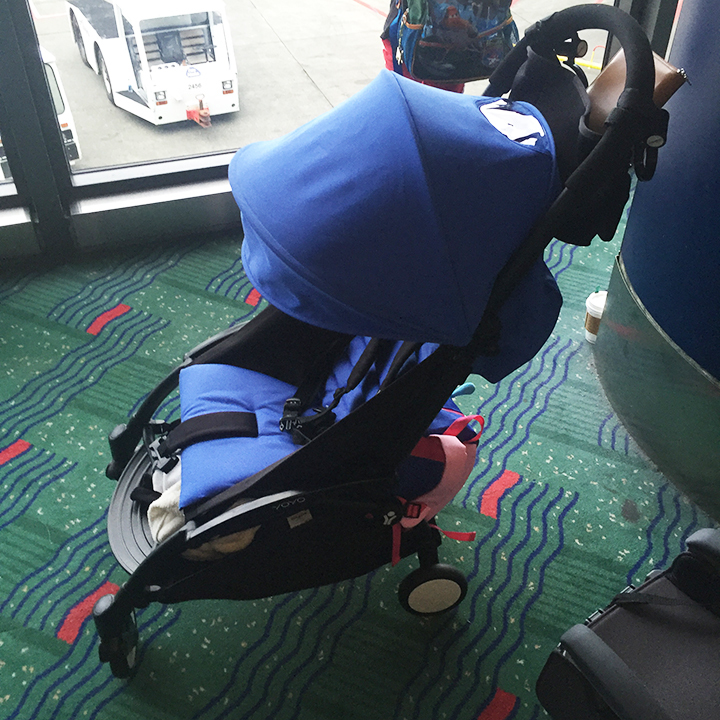 I can’t tell you how easy it was to travel with this stroller. At only 12 lbs, and with a padded carry strap, all I did was fold it up just before we boarded the plane, popped it on to my shoulder for the short walk to our seat and up it went into the overhead bin. This makes me super happy because, frankly, I have a bit of a (huge) stroller obsession and gate checking our previous stroller (the pretty fab Britax B-Agile) always made me nervous. Luckily, we always got ours back in one piece, give or take a couple of grease marks but I’ve heard so many horror stories of broken strollers, it’s the best thing when you can keep everything close by and at hand yourself. At just over $500, it’s not cheap but you get what you pay for and you get a lot of ease with the Yoyo+. We’ve been using it everywhere we go, not just at the airport, and I love that it only takes up a tiny bit of the trunk space in my car too. I opted for the blue fabric because it’s absolutely gorgeous but it also comes in red, black, taupe, grey, and fuchsia. I also went with the all black frame although the black and white frame is also very pretty. If your budget doesn’t stretch that far, look into the 2015 model. They’re currently on sale everywhere. The biggest differences between the 2015 and 2016 models are that the basket was re-designed to be larger and the canopy had a third panel added on. They also padded the carry strap and added a pocket to the back fabric flap of the stroller. If those are aspects that aren’t crucial because you don’t cart around too much stuff or you rely on stroller hooks to carry bags, and if you don’t live in a super sunny climate like LA, then you should totally look into the 2015 model. It’s a great sale! 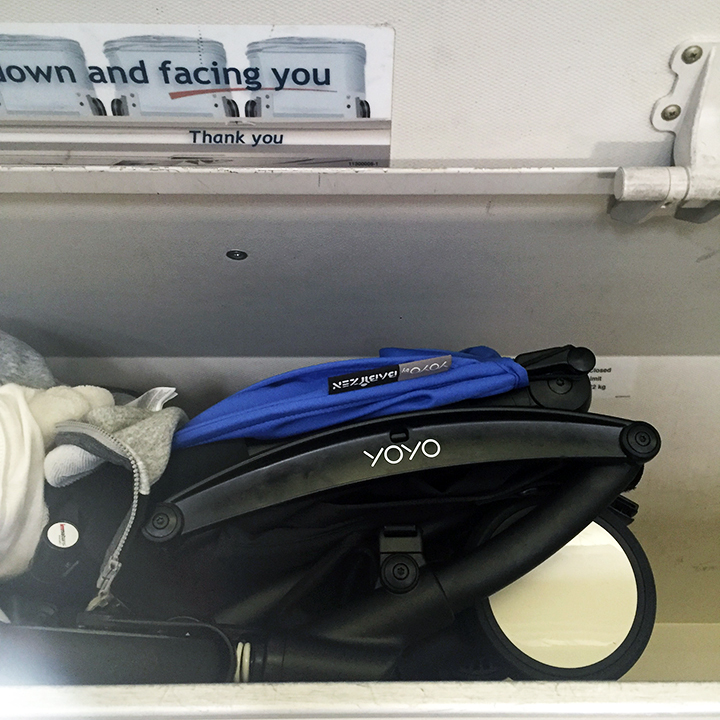 Oh, and if you have an infant, the Yoyo+ model from 2015 and 2016 both have infant kits and car seat adapters. 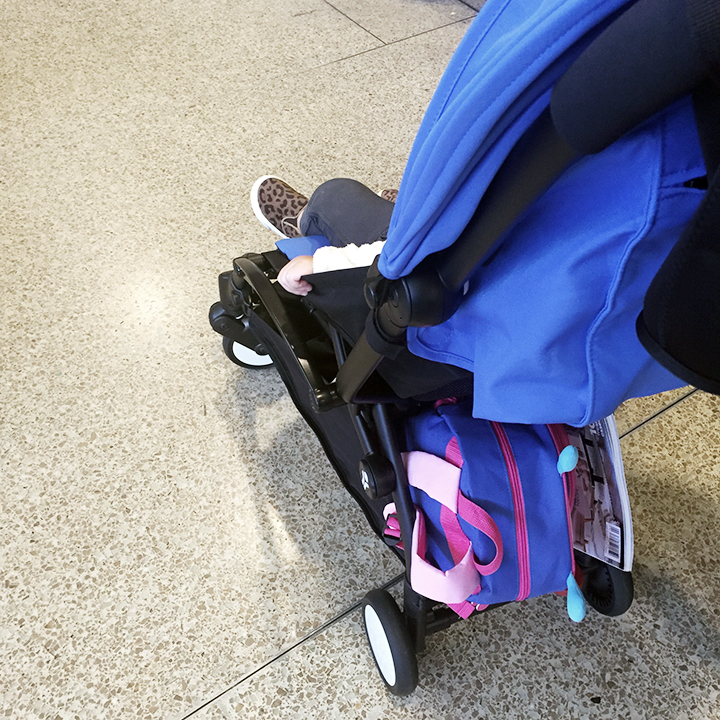 If your child is in a toddler car seat, and you are planning to take it with you, you can use a wheeled adapter like this one from Britax to transport your car seat through the airport. We’ve done that a few times and it’s a great option if you’ve purchased a seat onboard for them. Toddler seats are aircraft-certified and can be used on board. Otherwise, if they’re flying in your lap, I would either purchase a padded car seat travel bag or wrap it up well and check it at the counter. In our case, we borrowed a toddler car seat for the Baby from a friend in Toronto, and we’ve purchased a backless Graco Affix booster for the Boy. It is fairly lightweight and easy to carry through to the plane, and again, it stows in the overhead compartment easily. Now that the Baby is almost two, I’ve pared down the diaper bag to just the essentials. I bought the cutest Skip Hop Zoo backpack in the Butterfly style and I packed it with large Ziploc bags full of the basics: one for diapers, wipes, and diaper cream, another for a change of clothes and a third for snacks. Add in her little matching Skip Hop water bottle and folding bib and we’re good to go! The backpack is a good size and fits into the stroller basket perfectly. The Boy carries his own books, toys, and a just-in-case change of clothing plus disposable flushable wipes and a small bottle of hand sanitizer in his own backpack. I’m loving this Star Wars backpack by Loungefly and I know he will too! I also recently came across these adorable Panda Eye Masks and at only $2.89 they’re a good buy if you are planning to nap kids on the plane. If it helps them settle down and get some sleep, I’m all for it! As far as clothing is concerned, they have to be comfortable above all. Cue: shorts and a T for the boy plus a lightweight jacket that goes into his backpack if he’s not wearing it. The Baby usually wears soft, comfortable sweatpants and a sweatshirt. I’m in love with this cotton Little Marc Jacobs Moto Jacket and might just have to pick it up before our next trip! Sneakers are the shoe of choice for both; Adidas Stan Smith’s for him and Baby Gap faux leather sneakers for her. To keep them entertained, I like to go through the tons of toys they have at home and pick out a couple of favourites for each (Matchbox cars for him, her favourite doll and a little Elmo figure for her). I also like to take a trip to the Dollar Store before we fly and pick up a few things like colouring books and crayons, small magnetic puzzles, and story books that I know they’ll find entertaining and that they won’t be too sad to miss if they get left behind on the plane (because something always gets left behind, right?). I also load up the iPad and my iPhone with our favourite apps and shows. Speaking of, don’t forget to pack a portable charger to avoid no-battery meltdowns! I also recently came across these great plastic resealable bags of Playdoh which will hopefully keep them busy for a portion of the flight too. NOTE: I wrote this post before our Toronto trip so I thought I would mention that while the idea of Playdoh was great in theory, in practice it was pretty terrible. Every time it hit the ground, it would pick up all sorts of floor “stuff”, for lack of a better word, and a great big piece of blue Playdoh is now permanently adhered to the bottom of the baby’s shoes. Not cool. It’s not the product’s fault, of course, just that my kids weren’t very entertained although they love playing with it at home! Live and learn, right? Although you can purchase food on planes, I always like to keep a few snacks on hand too. These Happy Tot disposable food pouches are a great hit with both kids as are these Kirkland Organic Animal Crackers. I pop the crackers into these great Oxo Tot Flippy Snack Cups. What I like about these is how soft and smooth the plastic lid is – no chance of scratching little hands as they reach into to grab their snacks. I’ve had containers before that haven’t been as user friendly so this was a great purchase for me. Both kids also LOVE these Gerber Lil’ Crunchies so I’ll definitely be packing those for our trip. And that’s it! 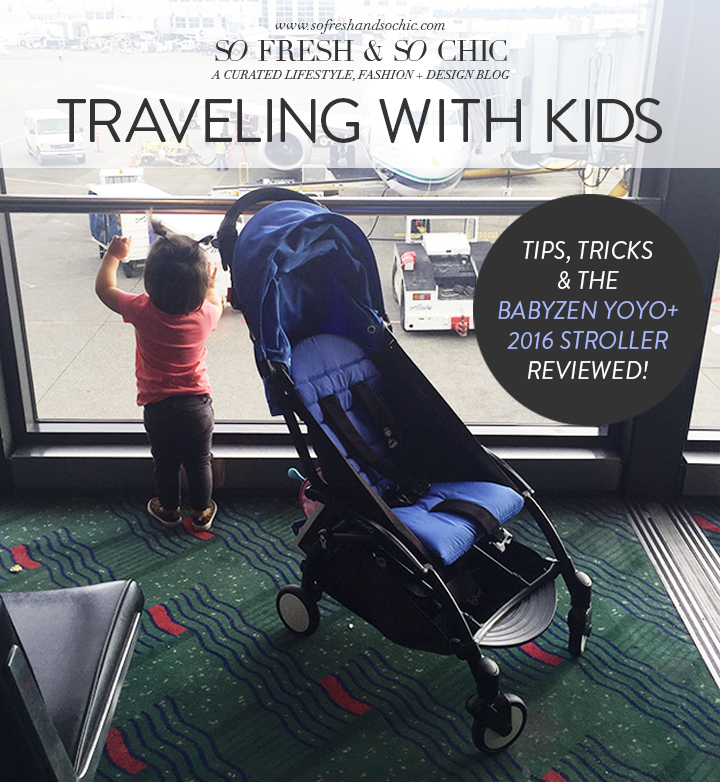 Those are a few tips and tricks I use when traveling with kids to ensure a smooth flight. Do you have any tips to share? Leave me a comment below and tell me! I would love to know. **This post contains affiliate links and I will be compensated if you make a purchase after clicking on my links. This will not change your price. Thank you for supporting the brands that allow me to keep bringing you stylish inspiration! The Shop: The Best of H&M Home! 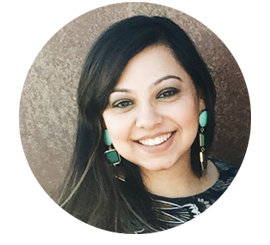 So Fresh & So Chic is a curated life, style, interiors and decor blog for those aspiring to live stylishly. I show you how to adopt current trends, update classic pieces, and embrace great design throughout your life. This blog contains affiliate links throughout. Whilst your price remains the same, I will make a small commission if you click through and make a purchase. Thank you for your support. [For the Home] 7 Stylish Ways to Display Houseplants! [Friday Finds Vol. 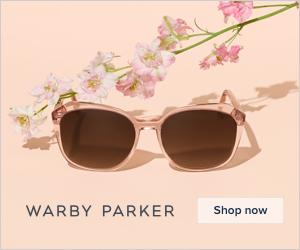 29] This Week: A Beautiful Australian Reno, Warby Parker x JT, A Free Pretty Printable, Target's Newest Home Brand, & A Beautiful Picasso DIY! Stay inspired with beautifully designed & free printables exclusively shared with So Fresh & So Chic mailing list subscribers, plus receive fresh inspiration with each curated blog post delivered straight to your inbox! Absolutely no spam and your email address will never be shared.